ITEM: Upper Suspension Arm & Bush Assembly for 2015-2016 Hyundai All New Tucson TL CONDITIO.. ITEM: Trailing Arm Bush for 2015-2016 Hyundai All New Tucson TL CONDITION: NEW MANUFACTURER: .. ITEM: Hydraulic Unit Assembly for HYUNDAI MANUFACTURER: MOBIS PART NO: 58920D3100 58920-D3100.. ITEM: Hydraulic Unit Assembly for HYUNDAI MANUFACTURER : MOBIS PART NO: &.. DESCRIPTION: Side Repeater Lamp Assembly Left Side for Hyundai CONDITION: NEW MANUFACTUR.. DESCRIPTION: Side Repeater Lamp Assembly Right Side for Hyundai CONDITION: NEW MANUFACTU.. ITEM: Front Disc Brake Pad Kit for HYUNDAI MANUFACTURER: MOBIS PART NO: 581012SA51 58101-2SA5.. 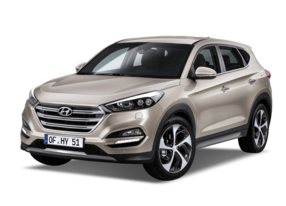 ITEM: Transmission Control Unit for 2015-2017 Hyundai All New Tucson TL CONDITION :&n.. ITEM: Turbocharger for HYUNDAI MANUFACTURER : MOBIS PART NO: 282312B760 28231-.. DESCRIPTION: Needle Roller Bearing for HYUNDAI / KIA MANUFACTURER : MOBIS PART.. DESCRIPTION: Oil Filler Cap for HYUNDAI / KIA MANUFACTURER: MOBIS PART NO: 2651026600 26510-2..